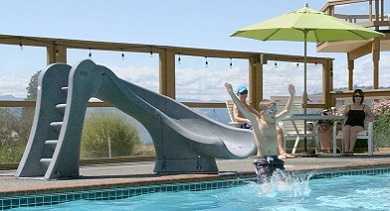 Required deck space: 6'- 8" x 5'- 6"
Height to top of handrails: 4'-1"
Safety Standard for Swimming Pool Slides (16 CFR 1207). 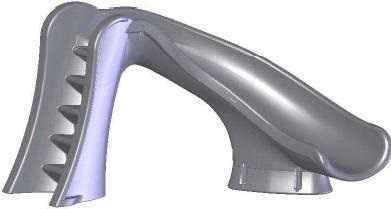 and is available with a right curve flume only. 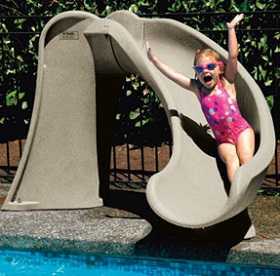 Never Slide Head First !! Need Help ? Feedback ? advertisements appearing on this site.